Centennial Trail provides a full range of non-motorized uses in a variety of natural settings. 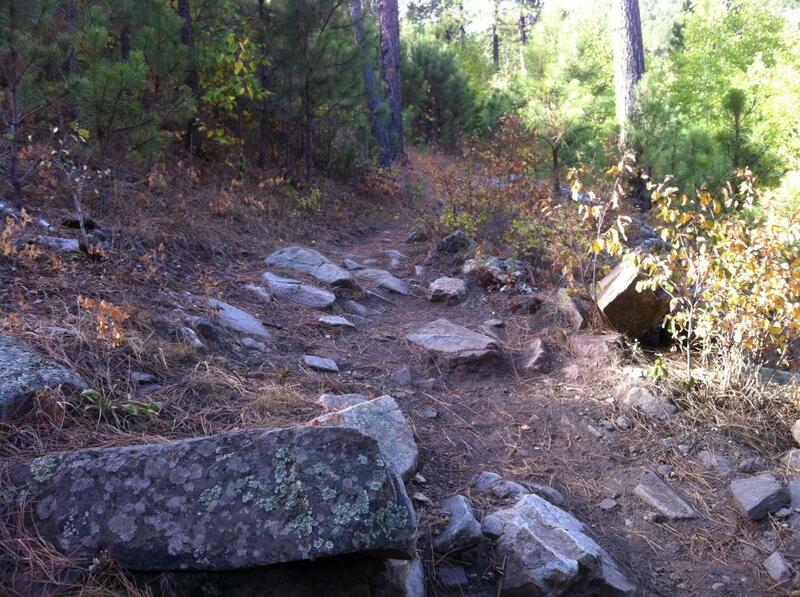 One 15 mile segment of the trail is currently open to ATV users. The trail passes through two state parks, BLM Lands, one national park and the forest. The trail passes near a national memorial and a national cemetery. Trai users will experience a full range of natural enviroments, including the open high plains, forest, meadow, riparian areas and rock outcrops. Elevation extremes are 3200 feet and 5800 feet. The averge elevation is around 5000 feet. Most steeper sections are short, less than half a mile long. Elevation changes between valley and ridgetop are typically 200 to 500 feet. 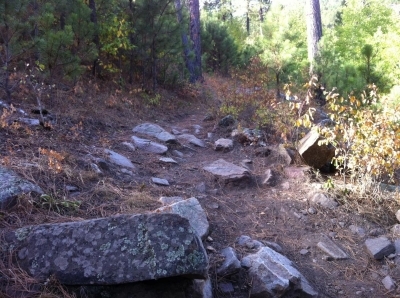 Rock challenges on the trail. Photo by Singletracks/GTXC4.